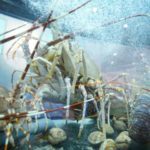 Back for its eighth edition, Seafood Expo Asia will take place on September 5-7, 2017 at the Hong Kong Convention and Exhibition Centre. 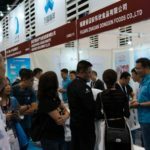 HONG KONG (28 July 2017) – Visitors to this year’s Seafood Expo Asia will have an unparalleled opportunity to discover a variety of seafood products, services and equipment from Asia and around the world when the trade event, produced by Diversified Communications, returns to the Hong Kong Convention and Exhibition Centre on September 5-7, 2017. Building on last year’s successful event, which attracted more than 8,800 seafood professionals from 69 countries, the 2017 edition of Seafood Expo Asia will feature a rich programme of content with a host of innovative brands and exhibits, making it the ideal platform for industry professionals to source the latest products, meet face-to-face with new and existing suppliers, hear from experts on current trends in the industry and participate in exciting special events. According to the World Bank, the Asia Pacific region will account for 70 percent of global fish consumption by 2030. “With consumer demand for seafood at a record high, international buyers and decision makers representing retailers, supermarkets, importers, hotels, restaurants, chefs, catering services, wholesalers and distributors will gain valuable insight into new product innovations, best practices and emerging trends affecting the industry in the Asian market,” says Event Director Ms. Iris Kwan. “Forming relationships with customers in this part of the world is vital for global seafood producers and suppliers when one considers that seafood consumption is projected for considerable growth across the entire region,” continues Ms. Kwan, adding that well known companies such as Aeon Big Sdn.Bhd (Malaysia), Aeon Stores Co. (Hong Kong), City Super Ltd. (Hong Kong), Colruyt Group (Hong Kong), ITM Alimentaires International (Thailand), Metro Food Sourcing APAC (Hong Kong), MGM Macau, ParknShop Ltd. (Hong Kong), Sodexo Service Asia Pte Ltd. (Singapore), Tesco Stores Sdn. Bhd. (Malaysia), Unicoop Firenze (Italy) and Walmart China are already among the list of buyers registered to attend. Ms. Kwan confirms that the exposition will feature new companies and countries showcasing a diverse range of the world’s seafood. Newcomers for 2017 include international pavilions from Spain, France, South Korea and China joining new exhibiting countries like Denmark, Iceland, Maldives and Mexico. Seafood Expo Asia attendees will have the opportunity to participate in the new and enhanced conference program covering today’s most pertinent topics such as Internet of Things applications in the seafood industry, traceability and authentication, consumer trends, aquaculture, and a workshop on sustainability and certification. Sessions will be informative and thought-provoking as seafood experts discuss the latest news and developments from across the industry with the aim of providing buyers and suppliers with ideas and inspiration to grow their businesses. 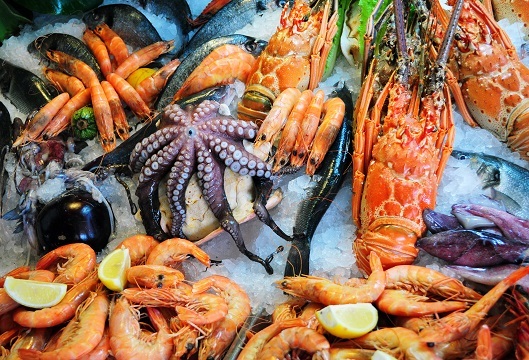 The redesign of the Seafood Expo Asia Product Showcase that will be presented in a market-style setting will provide exhibitors from around the world with an effective way to introduce their brands to the market and buyers with new purchasing ideas. Seafood Expo Asia runs alongside Restaurant & Bar Hong Kong, the region’s fine dining and beverage exhibition. For more information or free registration, please visit http://www.seafoodexpo.com/asia.